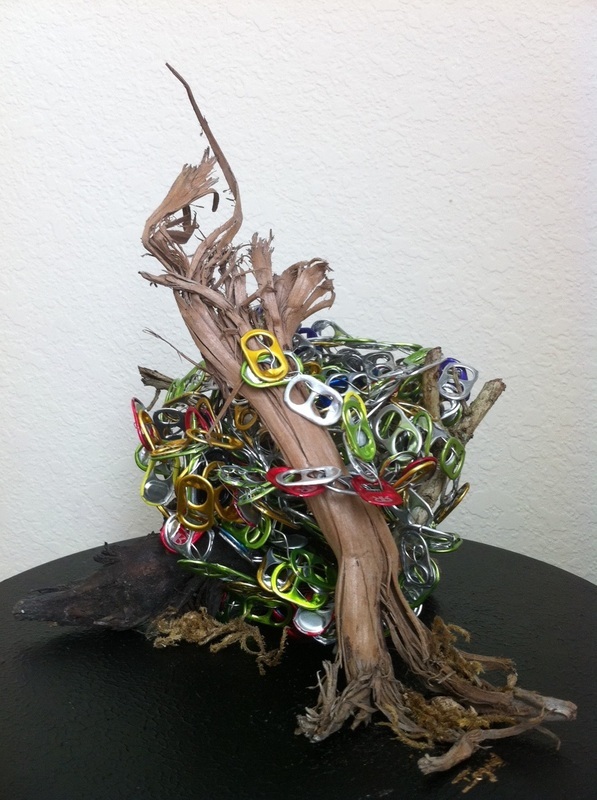 Sculptures - INGarza Studios, Inc.
BIRD NEST: Sculpture is 9-1/2” H x 10” W on a 13” DIA. base. 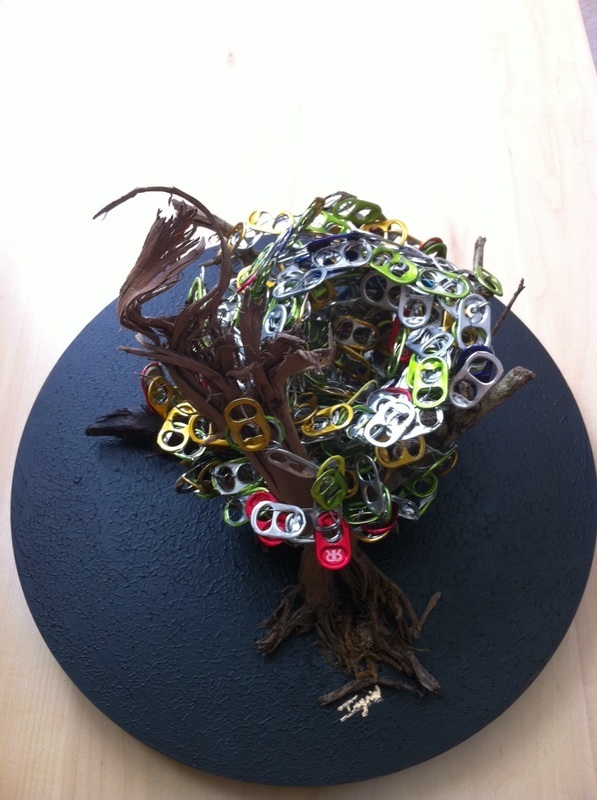 Created with recycled pop tabs, wire and driftwood and represents what could be the future home of birds if the current situation of disappearing habitat and increased waste is not solved. The inevitable adaptation of animals to the wasteful world we continue to create. It is meant as a subtle reminder to be mindful of our actions and strive to save the Earth.